In 2012, Google acquired Nik, the company behind Snapseed. 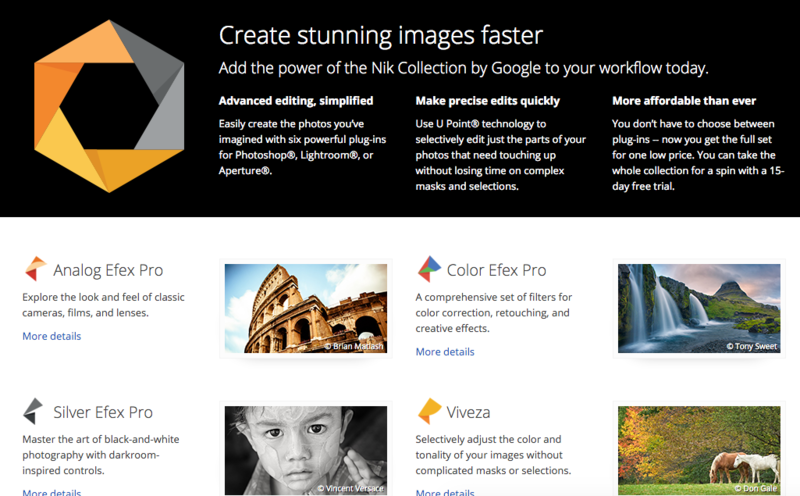 After bringing Snapseed to Android, the collection of Nik plug-ins for desktop photo editing clients, such as Photoshop, were still available for purchase at $150. However, as of this week, the entire Nik Collection is free to download for anyone and everyone to use. Shared to the Nik Collection Google+ page, the following was shared in the announcement. If you recently purchased the Nik Collection for its $150 price, fret not! Google is automatically issuing refunds to all purchasers who acquired the collection so far in the year of 2016. If you purchased in 2015, you are out of luck. Edit photos on your Mac or Windows desktop? Go grab the collection.